For the choice of materials, we work exclusively with reliable and safe suppliers, considered the best in Europe for the quality of the products created and constantly investing in research for the development of materials that can always offer better performance. 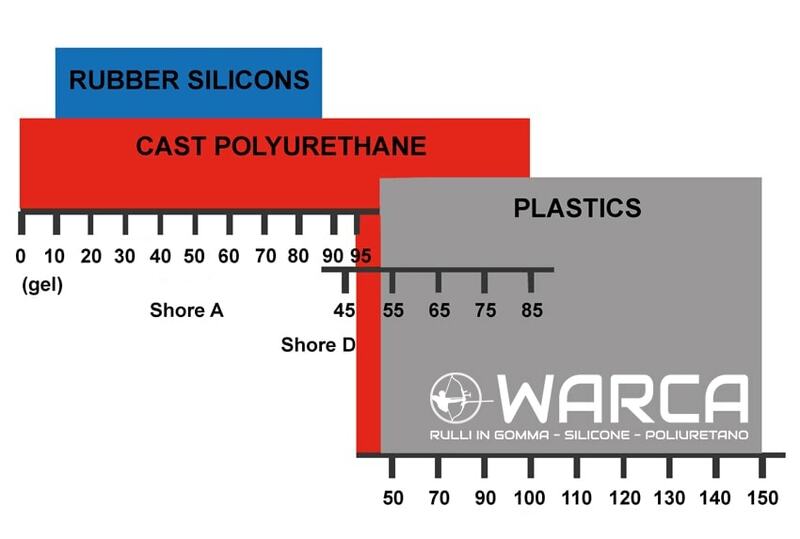 Each Warca rubber roller optimizes the properties of the specific compound used, respecting the fundamental parameters of hardness, dimensional stability, and durability, resistance to chemical solvents, abrasions and temperatures. We do not care only for the convenience and quality of the materials; our attention also goes to the care for the environment. We are in fact carrying out a project in collaboration with the university to make the rubber a recyclable material: the goal is to be able to create the coating of certain types of cylinders with recycled rubber.